Winter is chock full of personality, and he's just waiting for the right person to realize how amazing he is! He's very talkative when he feels like no one is paying attention to him, (especially at mealtimes) and loves being the leader of a 9 kitten pack that tears around the house at mach speeds. He is incredibly playful, but also enjoys running up to his foster mom and getting some serious snuggles. 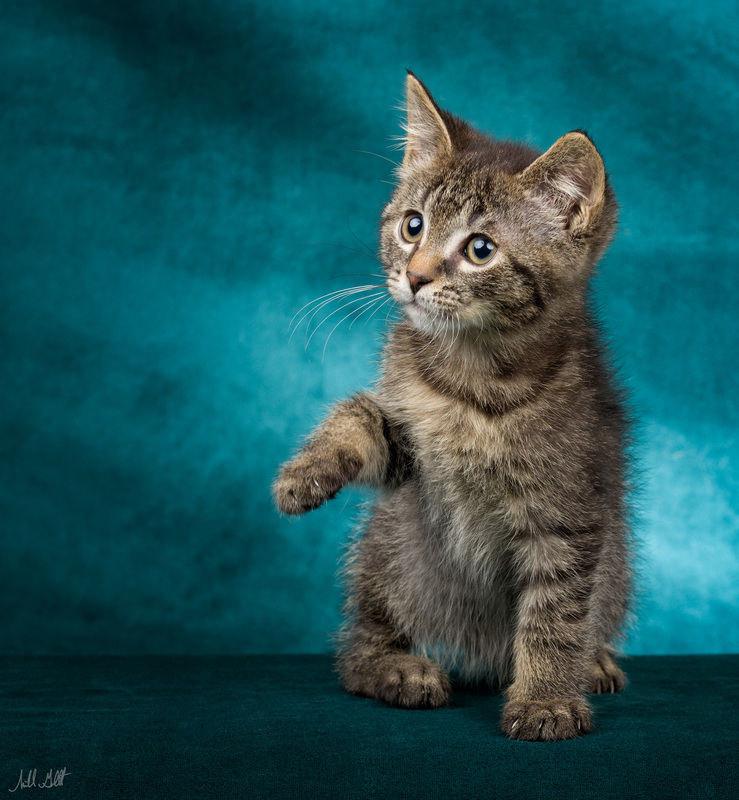 If you're looking for a kitten that loves being the center of attention, look no further! Winter is looking for a lap of his own for these cold nights!